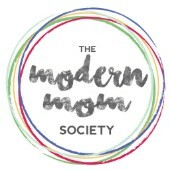 I believe I was called to bring The Modern Mom Society to life – it born out of a long, winding entrepreneurial journey (which you can learn more about here) and a mission to find meaningful work that filled me up and helped others as well. I was working with a coach to help me gain clarity on what I wanted to be when I grew up, and I had landed on being a health coach – I was passionate about health and nutrition (after enduring my own personal health struggles) and I was a certified health coach, so it made the most logical sense to pursue a career in coaching. To help me generate interest in my business, my coach started listing out a bunch of different ways to get my message out there – I can’t really remember what they all were at this point, but when she suggested putting on a summit – something just clicked. In building a business, it’s important to choose a niche – a segment of the population that you focus on and tailor your services to. Working with moms was chosen for me by the universe, and I ran with it – I asked my Facebook network of moms what they struggled with the most as it related to food and nutrition with their families, and picky eating bubbled up to the top as a huge concern. I knew that I wanted to talk about picky eating in the summit and started to think about what other topics and speakers I could bring in that would work well with what I had in mind and it wasn’t long before I landed on Surviving Early Childhood. I had just gotten past the toddler phase with my youngest, and looking back I realized just how hard those toddler and preschooler years with my kids were. And I knew there was so much additional content that would be applicable to moms of toddlers and preschoolers and so much need for support during those crazy years of the parenting journey. I loved putting the summit together – it was work that didn’t feel like work at all. It was well received and I felt like it was a huge success. I loved connecting with the summit attendees, bringing them the help they needed and I also loved working with the women who made up the expert panel. When it wrapped up at the end of February 2016, I was super sad that it was over and knew that I wanted to continue to do that work, but expanding beyond the early childhood years and also to do it in a podcast format instead of as a summit. While I loved the idea of continuing the expert interview series in podcast format, I also felt like there needed to be a voice of the moms in my project. I was talking through The Modern Mom Society project with my husband and mentioning I wanted to have that element involved, and he brought up Humans of New York – and again, something just clicked. The story of real moms. Connecting to the mess behind the front that we all put up on social media. Being a mother today is a far cry from the perfectly poised, adorable pictures we predominantly post on Facebook. I feel like there is a lack of balance between the edited version of motherhood (the always happy, smiling, well behaved kids) on social media and the crazy reality of bad listeners, meltdowns, and sibling squabbles that go on day to day, and I want to use The Modern Mom Society to portray more of the behind the scenes reality of motherhood. I’ve always been interested in people and their stories. In fact, the opening line on my dating profile on match.com back when I was single (yes, I met my amazing husband online!) was “What’s your story?”. I love hearing about where people come from, where they’re going, what makes them tick and learn a thing or two in the process. I always dig deeper and ask more questions; for example, I never shy away from trying to understand someone’s occupation that’s a little out of the norm. I bring this up because when I’m making small talk and tell people about my day job (product manager for a distributor of electronic components) I almost always get met with blank, deer-in-headlight stares… where if I were on the receiving end of that comment, I would be asking more: who are your customers? what are some of the products you distribute? how did you end up in that career? do you like it? and on and on…. So, what’s your story? I’d love to hear – drop me a line and let’s chat! Connecting the real moms with the experts who have devoted their lives to serving this community is how I wanted to bring it all together. Tell the stories, share the advice, educate, connect. I’m so grateful to bring it to you and I hope it helps you in your journey of motherhood!